Will look almost identical to the Baojun 530, barring a few parts like the front grille. Its headlamps are placed on the front bumper, rather than the conventional spot. The SUV will be revealed in April 2019. The Hector will be offered with petrol and diesel engine options. The Hector will be MG Motor’s first passenger vehicle in India. And with its reveal just a few months away, we have been able to get a few more spy shots. 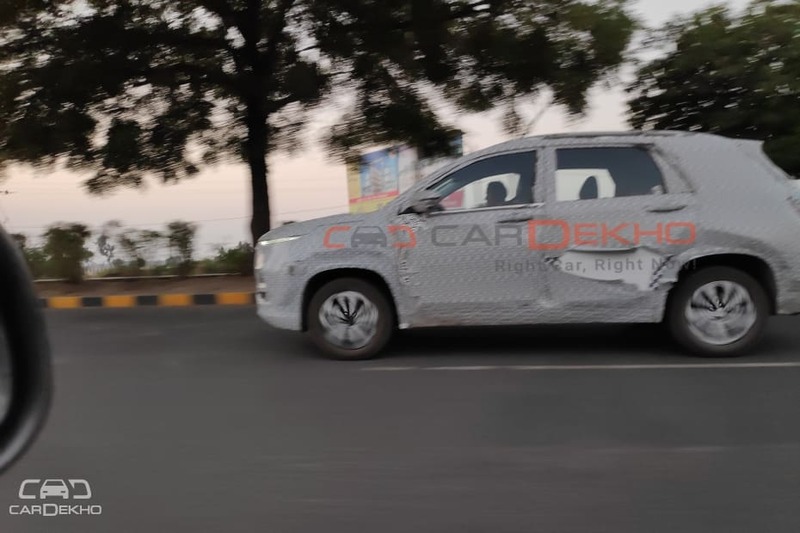 The Baojun 530’s Indian cousin looks close to production ready and was spotted on a highway run near MG’s factory in Halol. While the Baojun 530 and MG Hector will look almost similar, MG will give the Hector its own separate identity with some changes. One such change is the front grille. While the Baojun 530 gets vertical and horizontal slats in the grille, the Hector will feature a honeycomb pattern as seen in these images. We already knew that the Hector would get LED DRLs where headlamps usually are and the headlamps would be shifted down to the front bumper. But the spy shots further reveal that the headlamps will emit white light, and these will, in all likelihood, get LEDs, same as the Baojun 530. 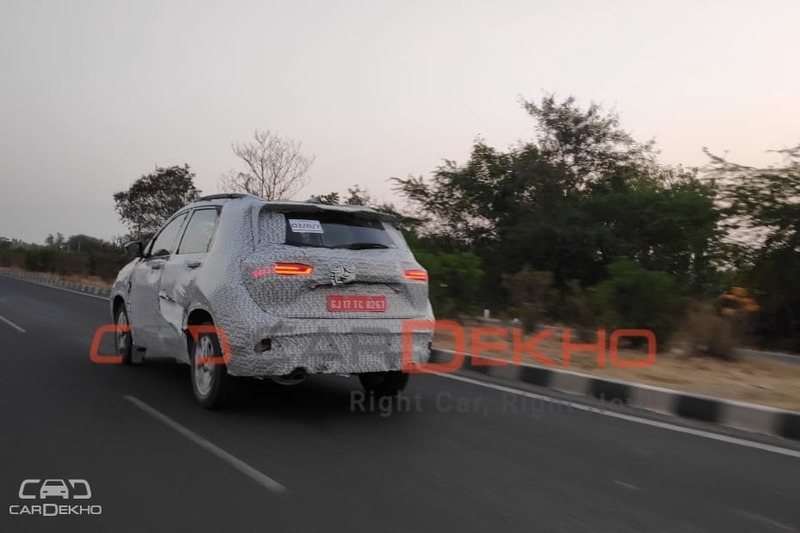 At the rear, the tail lamps will also sport LED elements. As revealed in the teaser video, the turn indicators on the MG SUV will be dynamic in nature. Dynamic turn indicators light up LED elements one by one in the direction of turn and are seen on many current Audi models. The Hector will definitely score brownie points with buyers due to the dynamic turn indicators, something that’s not present in its competition. 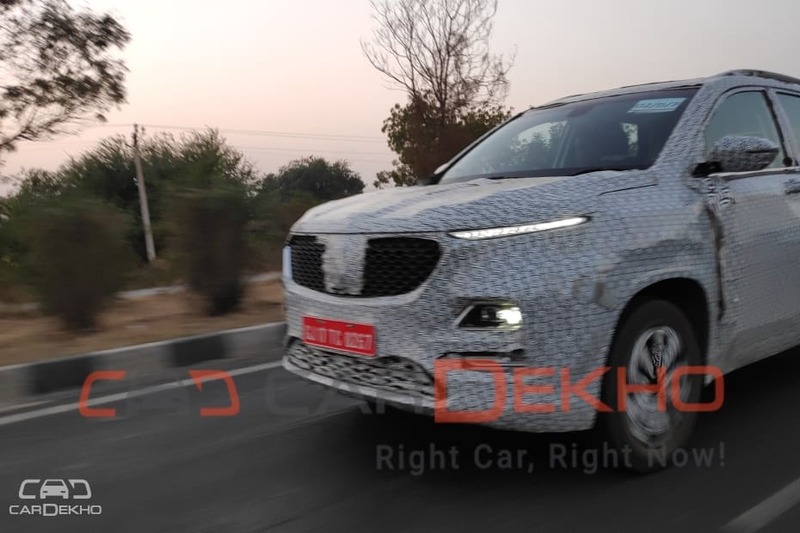 Once the MG Hector is launched in India, it will compete in the midsize SUV segment currently occupied by the Jeep Compass and Mahindra XUV500. The Harrier will also be launched soon and will compete in the same space. The Hector is expected to be revealed in April 2019 and will be launched in mid-2019. It will be priced between Rs 17-20 lakh (ex-showroom New Delhi). This is all we can make out from the new set of spy shots for now. If you come across more such pictures of the Hector, share them with us and stay tuned to CarDekho for more updates on the Hector.